PSAR keeps growing and expanding. 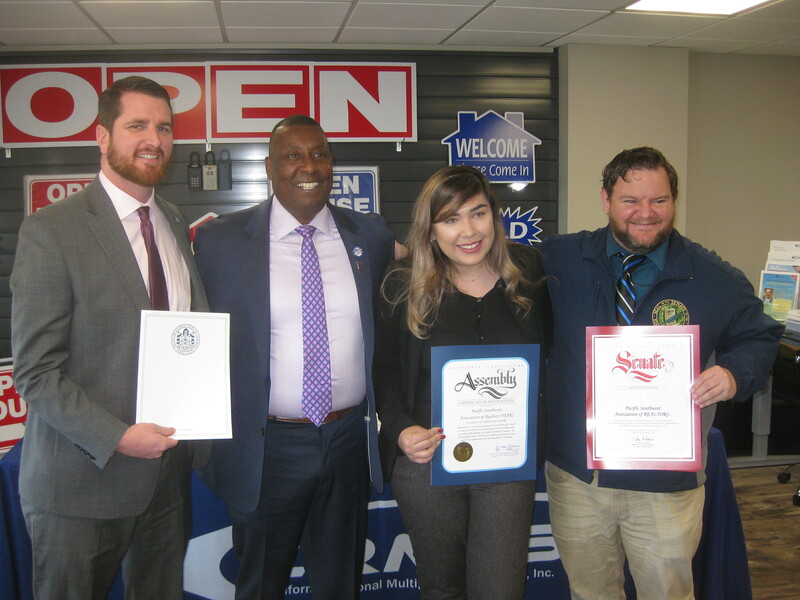 One shining example of PSAR’s ongoing expansion has been the success of the recently opened PSAR Central San Diego Service Center at 4340 Genesee Ave., Suite #203, San Diego. If you haven’t yet visited PSAR’s newest Service Center in San Diego’s Clairemont Mesa community, then please feel free to drop by. You’ll be impressed. The new, 1,500-square-foot PSAR Central San Diego Service Center, beautifully decorated in an ultra-modern, open workstation stylish motif, features a 65-seat educational classroom for training, plus resources for REALTORS®, including Sentrilock and Supra lock boxes, CRMLS and signage. Many outstanding workshops and seminars have been held recently at the new Service Center, including classes on Homesnap Pro App training, InfoSparks Market Statistics training and Paragon. Another upcoming class cover the topic, “Social Media Boot Camp for REALTORS®,” will be held at the new Service Center on Wednesday, March 20. Two sessions will be offered from 9:30 to 11:30 a.m. and from 12:30 to 2:30 p.m. Refreshments will be served and admission is free. Topics to be discussed will include understanding how social media works, how to generate leads from a website and how to attract more followers, as well as the benefits of Facebook, Twitter, LinkedIn, YouTube and blogging. For agents who want to become a Realtor, the training, friendly staff and access to the best tools in the industry make PSAR is a great place to start. 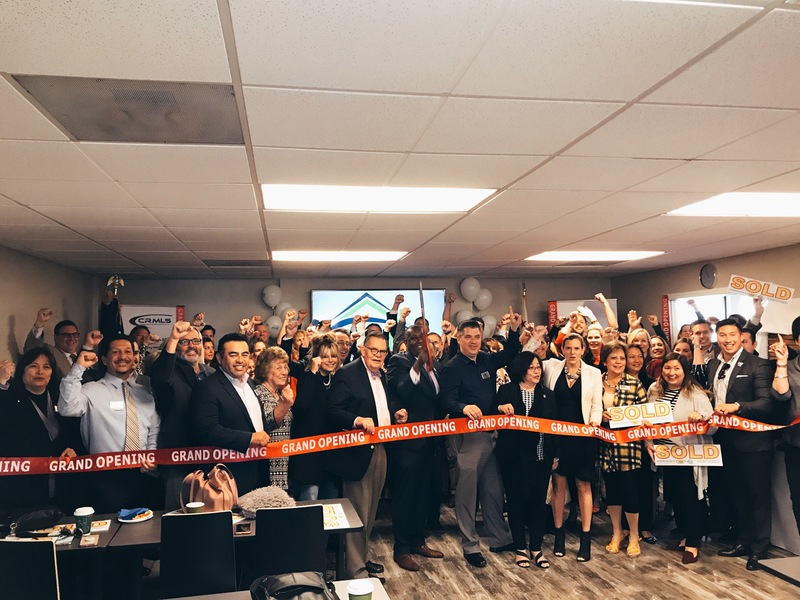 In addition, every Tuesday morning starting at 9 a.m., PSAR’s “City Pitch” event is held for brokers and sales agents at the new Service Center. The marketing pitch session focuses on properties located within San Diego city limits, including the following zip codes: 92102, 92104, 92105, 92108, 92111, 92115, 92116, 92123, 92124 and 92120. All San Diego REALTORS® are invited to attend City Pitch to pitch their properties, network and put deals together. Agents have two minutes to promote their listing. New agents and brokers are welcome to stop in. Please bring 50 property flyers to be pitched and PSAR staff will insert the flyers into the Pitch Portfolio that each attendee will receive. At the recent grand opening and ribbon cutting ceremony, more than 120 PSAR members, friends and guest people were there. Here is a video about the grand opening celebration: https://vimeo.com/315812958/6f7ed1844c. Also attending the grand opening event were elected officials, community leaders and industry dignitaries. 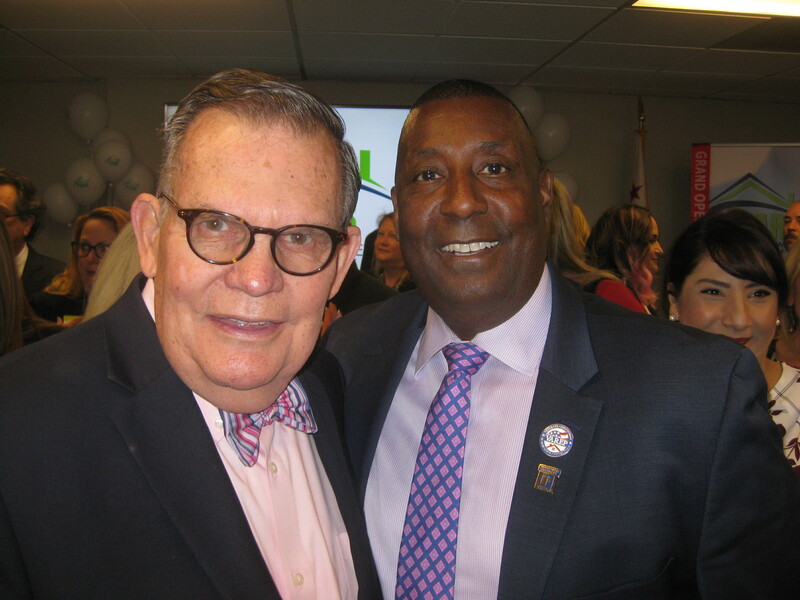 Among the attendees was Ernie Dronenburg, recently reelection as San Diego County assessor-recorder-clerk. Every county resident who owns property or rents is affected by what happens at Dronenburg’s office. He oversees assessing the value of real estate and personal property, which in San Diego includes planes and boats. Property taxes constitute the largest share of revenue for the county. His work also involves registering business names and issuing marriage licenses, birth and death certificates. The office has a $71 million budget with 405 employees and five offices in San Diego County. Dronenburg, known for wearing bow ties, has worked closely with PSAR President Robert Calloway on a number of housing initiatives that have assisted military veterans with homeownership. Calloway serves as an advisor to the Assessor’s Office on issues dealing with disabled veterans. Last year, the Assessor’s Office assisted more than 8,000 local disabled veterans, which was a 30 percent increase from the previous year. 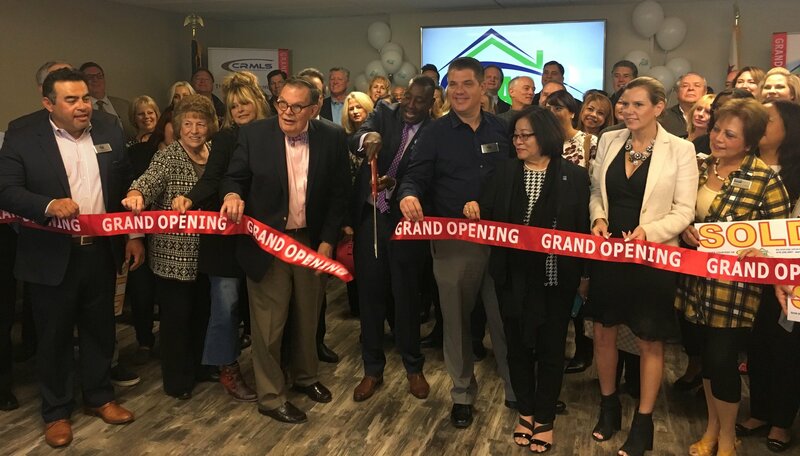 Other attendees at the grand opening event included: Jason Bercovitch, field representative with Congressman Scott Peters, 52nd District; Daniel Manley, Clairemont community representative, representing San Diego City Councilman Chris Cate, 6th District; Ryan Trabuco, Field Representative, representing Toni G. Atkins, Senate President pro Tempore Toni G. Atkins, 39th District; Michaela Valk, representing Todd Gloria, California Assembly, 78th District. 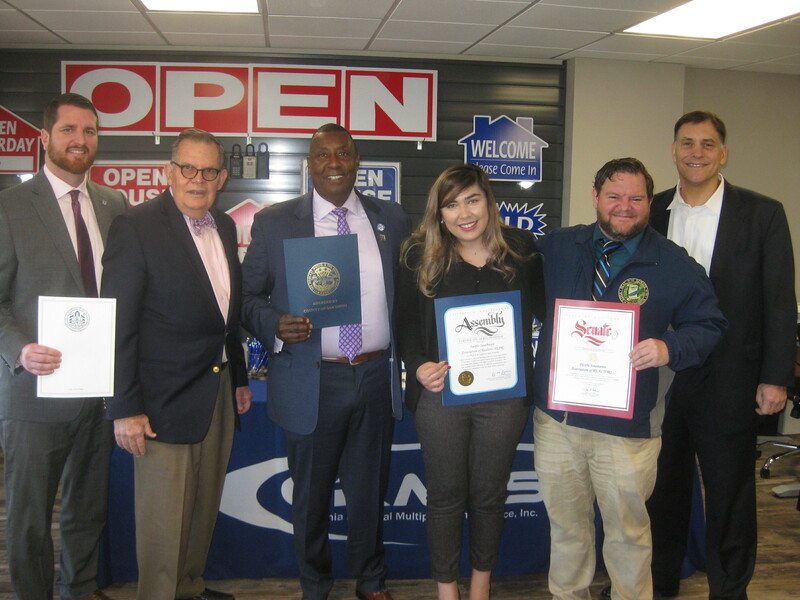 -- NOW, THEREFORE, I, Chris Cate, San Diego City Council member representing the District 6, do hereby proclaim Wednesday, January 23, 2019, as PACIFIC SOUTHWEST ASSOCIATION OF REALTORS® DAY throughout the City of San Diego.